CHICAGO–(ENEWSPF)–June 2, 2017. Mayor Rahm Emanuel today announced selection of a master development team to lead the revitalization of the Michael Reese site in Bronzeville. The team is led by Farpoint Development, Draper & Kramer, Chicago Neighborhood Initiatives, McLaurin Development Partners, and Bronzeville Community Development Partnership, among others. The consultant architect for the team is Skidmore Owings & Merrill. 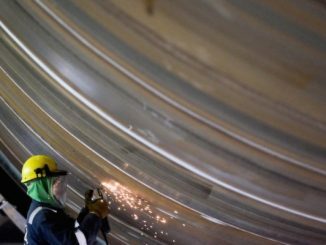 The 10-year project is expected to create up to approximately 36,000 temporary and permanent jobs. The initial phase may include a logistics center to accommodate McCormick Place truck traffic on multiple levels, potentially with new associated event, exhibit and/or meeting space. Planned later phases include more than 5 million square feet of technology-oriented commercial spaces, retail uses, homes and a hotel, depending on market demand. The overall project scope will be subject to a formal redevelopment agreement that will be finalized through a community-based process that will be subject to approval by the City Council and Metropolitan Pier and Exposition Authority (MPEA) Board. The proposal estimates that, at full build-out, the project will generate more than 24,000 permanent jobs and more than 12,000 construction jobs. Over 20 years, the project is projected to generate more than $520 million in property taxes and $164 million in sales taxes. The Michael Reese Site is the former location of the Michael Reese Hospital and Medical Center at 2960 S. Ellis Ave. The hospital complex closed in 2008 and the City acquired the property in 2009. 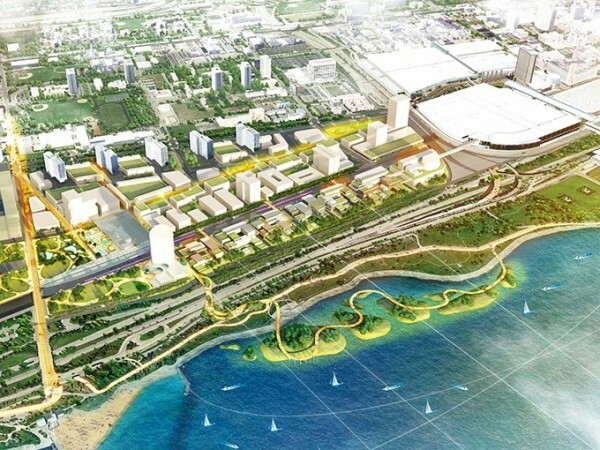 The Request for Proposals (RFP) issued for the 49-acre site last fall sought mixed-use development proposals that add mixed-use vibrancy to Chicago’s south lakefront communities. In cooperation with the MPEA), the RFP included MPEA’s 28-acre Marshalling Yards Site to the east. The selected bid includes an initial proposal of $144.45 million in compensation for the Reese site and the marshalling yards. The proposed payment terms will be considered and finalized as part of the formal redevelopment agreement, which will be subject to City Council and MPEA Board approval. “Given the talent and experience of the team we’ve assembled, we’re confident that we can maximize the potential of the site to benefit not only the Bronzeville community, but the entire City of Chicago,” Scott Goodman, principal for Farpoint Development said. 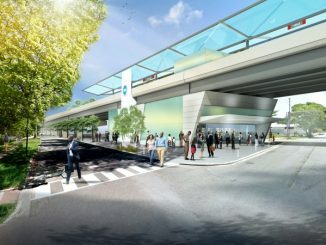 The proposal also includes plans for a new park and Metra train station at 31st Street; new pedestrian connections to the lakefront; and a rebuilt Cottage Grove Avenue. Previous projects completed by members of the winning bidding team include 1K Fulton, Pullman Park, Chinatown Library, Motor Row Plaza and Kennedy King College.